Moving your household, even with the help of a professional moving company, is an enormous undertaking that requires months of careful planning and preparation. Along the way, there are a few helpful hacks that can save you some time and energy. 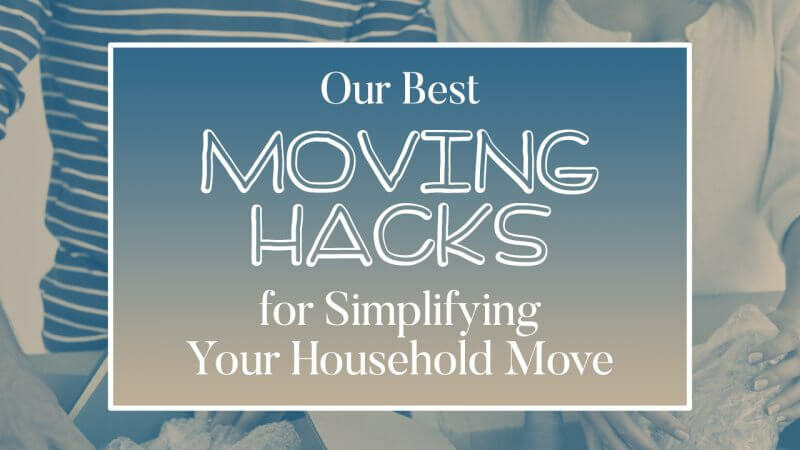 These can be implemented at different stages to streamline the moving process, so you stay on schedule and under budget while keeping your cool at the same time. Purchasing cardboard moving cartons gets expensive quickly; factor in the cost of packing tape and other essentials and you’re already blowing through your budget. Some moving companies will rent sturdy plastic containers. These are durable, reusable, and can cost you less. You’ve probably seen vacuum-powered space-saving systems advertised on TV and online. These are great for people planning a household move. These can be used to pack down soft, bulky items like bedspreads, sheets, towels, and pillows. These sets are relatively affordable and can be put to work in your new home, too. By the end of a move, you’re scribbling coded phrases on cardboard cartons. A handheld label maker will clearly print a detailed note about what each box contains and where it should be placed. 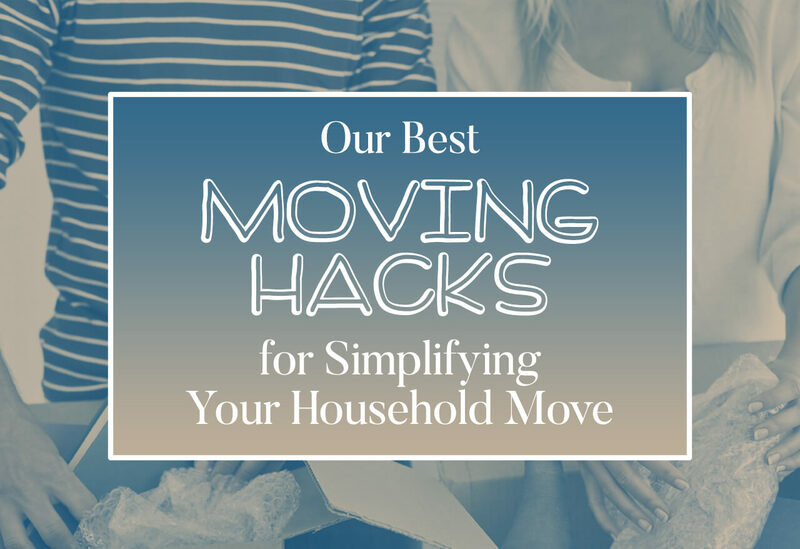 This is a great way to organize packing and moving. Ask around; one of your friends probably has a label making device you can borrow. Some items are too important to be lost or misplaced. Cleaning supplies, clothing, toiletries, personal electronics – all these items have to be moved at precisely the right time. Use clear bins to store these essentials in; this way you can see at a glance that you have packed everything. Before packing anything, give your home a thorough decluttering. Get rid of clothing that no longer fits. Give away those cheap promotional items you received at work. Donate all those extra coffee mugs and drinking glasses. Once you start looking, you are sure to find plenty of items that can be given to thrift stores; this will simplify the process of packing and moving. Books are likely to be some of the heaviest things you own. Pack them smart in boxes with built-in handles! Wine, liquor, and beer boxes are compact, sturdy, and typically come with their handles. You can find them outside liquor stores. Just ask nicely before helping yourself. If possible, give yourself plenty of time to plan your move. This will make the big day much less stressful overall. Pack in waves, clearing away the clutter one room at a time. Pretty soon, you’ll be a master at prepping each room for its new destination.